A lot of (positive) reviews about this book, at last I laid my hands on it in April 2012. I really liked it. It is the author's first novel and it was awarded the 2010 Commonwealth Writers' Prize. 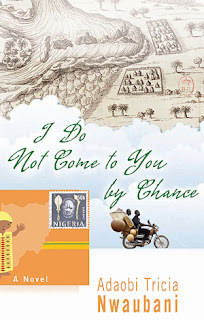 I really doubted whether to give it 4 or 5 stars, at last I decided 4 because part one of the novel was kind of slow (according to my point of view), it narrated all I already know about, most probably because I am from the part of Nigeria where the story took place and I am so use to the culture. This book tells the story line of most LIFE IN NIGERIA; HOPELESSNESS!!! you see a bit of it reflected in each of all of the 350+ pages. First of all you see how well learned people with their university certificate and post grade and masters certificate just lose their job without any coherent explanation, how the parents of 4 put all their hope on their first son to help them with his siblings- who after university couldn't find a job because he doesn't know anyone with a long leg that would fix him. How women leave the (learned and young) boyfriend they love for another with cash, older and unlearned, how people die of curable disease. How people with university degrees are risking their lives going to Europe, America even Bulgaria (I know it is part of Europe...). This book tells the story line of how most Nigerians are so desperate to leave their hometown and do things they never expect themselves doing. The 419 Scam was just a way to get the news to the world. I felt lots of sympathy for Kingsley (main character). Adaobi Tricia Nwaubani, being her first novel did a wonderful job. This is a book I highly recommend. It was told in an entertaining way of which I enjoyed. I am waiting for more from Miss Nwaubani.